We eat low carb about 95% of the time, but every once in a while we splurge for a special occasion. 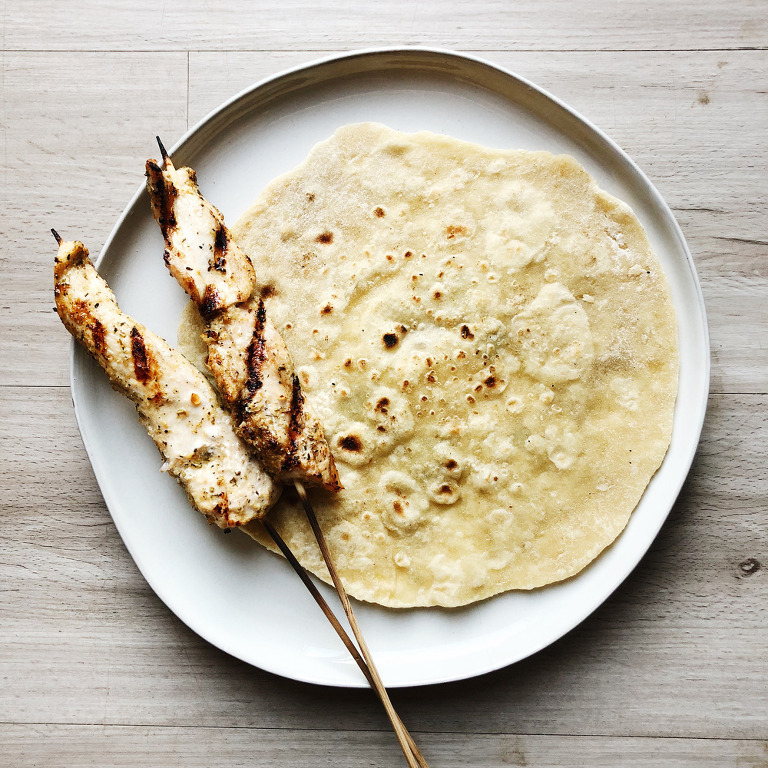 Chapati was one of our favorite foods in Uganda (before I was diagnosed with Type 1) and Justin learned how to make it. We loved it so much we even brought home a chapati pan! Like I said…rare occasion. And my stomach hurt so bad after eating this. But the joy on their faces of something that transported us back to Uganda for an evening was so worth it. 1. Add all ingredients to a mixing bowl and stir together using a wooden spoon till it makes a ball of dough that stretches but is no longer sticky. 2. Lightly flour a surface and knead the dough, but don’t over knead it and make it tough. 3. Divide into six pieces and roll into a balls. 4. Heat chapati pan (or a cast iron skillet) and grease the pan lightly with avocado or olive oil using a paper towel to spread it around. 5. Using a rolling pin, roll dough balls till they resemble a tortilla. 6. Cool chapati’s on the pan, one at a time for about a minute on each side or until brown spots start to appear. It’s so good you can just eat it by itself, which is most common in Uganda. Or you can make a rolex, eat it with rice and beans, and Justin loved to put a little melted butter on it with cinnamon and sugar. Really, you can do anything with it! I hope this recipe warms your heart as much as it did ours to reminisce of all our favorite things about Uganda.